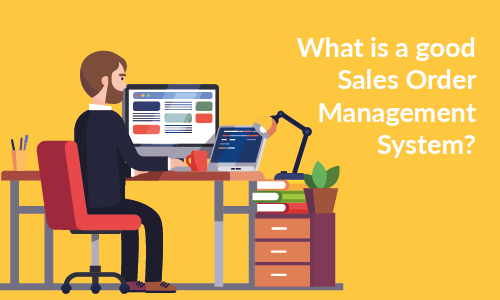 An Order Management System (OMS) is a tool that helps control the process between a customer placing an order and the product going out for delivery. It tracks sales, stock and fulfilment as well as ensuring all processes and people in-between are kept informed and up-to-date. The idea of an Order Management System hasn’t changed in a long time, but in this demanding, digital world there is a big difference between a good system and a system that isn’t suitable for growth. Working closely with stockists and distributors over the last 40 years, our Account Managers at OGL often come across companies using manual systems that take up the precious time of their staff members. Companies who juggle separate spreadsheets, multiple software products or out-dated legacy systems often find they become heavily dependent on staff members not making errors, which becomes a headache for both employees and customers. Businesses find it difficult to grow because of the expense of hiring new staff members to take care of the extra admin workload that becomes a product of an increase in orders. The ability to support growth whilst continuing to maximise efficiency is how you can tell the difference between a good order management system and a bad one. Ignoring the benefits of an automated, digital solution could be the difference between successful growth or an unattainable goal. If you’re a business trying to increase sales and grow, don’t hinder your chances of a seamless order process by using manual, out-dated systems. What is a good Order Management System? 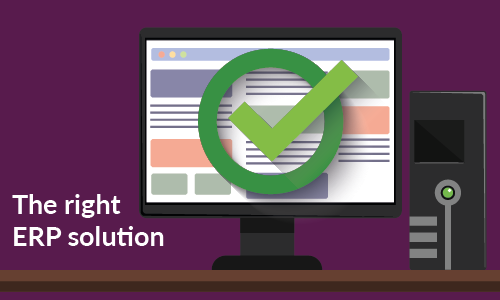 There are plenty of order management systems on the market and it’s important to consider your industry, product type and business size when deciding which OMS is right for you. It’s important to think of the future when investing in software and you need to be sure it’s scalable and will continue to be relevant and up-to-date in future years. Consumer shopping behaviours are changing, and this is largely down to online shopping and the eCommerce giant, Amazon. Customers now expect the same experience as they would buying products at home and there has now become a blur between the B2B and B2C order process. Amazon has changed the game for wholesalers, distributors and industry leaders to become more responsive. 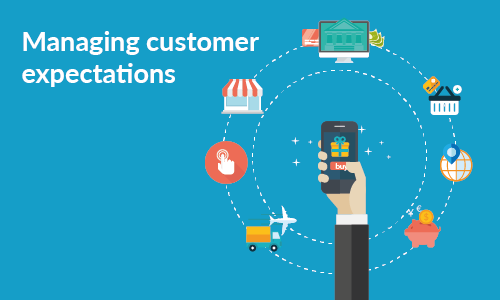 Customers don’t want to wait for information and they certainly don’t want to wait for their products as this could persuade them to look elsewhere for similar products with a better service. SPS Commerce revealed in it’s fifth annual retail report that faster shipping was the fifth biggest factor impacting on consumers buying decisions. This means only one thing; distributors, wholesalers, stockists and retailers need to cut the time it takes from when the customer places an order to when they receive it in their hands. 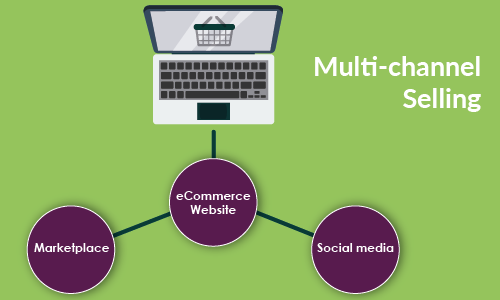 The advantages of multi-channel selling are clear, but this has forced companies to implement better, more flexible software systems to manage the cross-channel inventory, the increase in order fulfilment plus the need for a quicker turn-around. The Retail Systems Research Survey showed that legacy systems are a top factor hindering multi-channel execution, with 29% of companies naming legacy systems as their obstacle. Managing stock and processing sales orders through spreadsheets or outdated software solutions is likely to result in stock and order misplacement, which ultimately could harm your company’s reputation. If your customers experience bad customer service, it gives them reasons to look and shop elsewhere. Manually organising your processes ultimately leads to errors and isn’t scalable for future growth. As your business grows and you take advantage of multi-channel selling, your growth and success could be hindered if the back-bone of your business isn’t prepared and suitable for the growth. Investing in the right ERP solution gives you the ability to take control of your business and seamlessly manage customer orders and stock inventory, whilst easily managing your customers’ expectations. A complete ERP solution will give you one centralised system to manage every area of your business, removing the stress and inefficiency of manual, time-consuming processes. 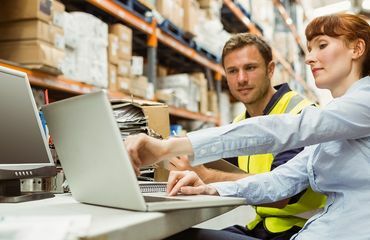 Sales order management and stock control are two of the key areas of your business, but coupled with warehouse management, CRM, and your accounts & invoicing, the right solution can support your business to drive it to the next level. 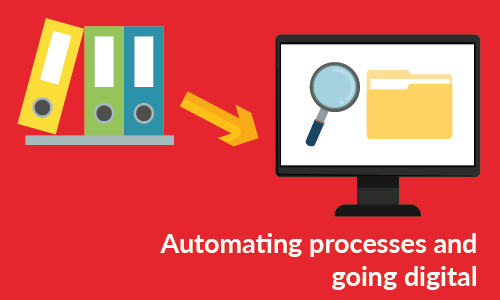 Keeping on top of demand and the increase in selling channels by automating processes that once were manual, could change the way you run your business. Don’t let your out-dated processes hinder growth and embrace the technology created to make your life easier. A digital, complete ERP solution will revolutionise your business and you’ll never look back. Not only can the order process, from any channel, be automated but so can the warehouse picking lists, the delivery notes, the regular customer communications and the stock levels. 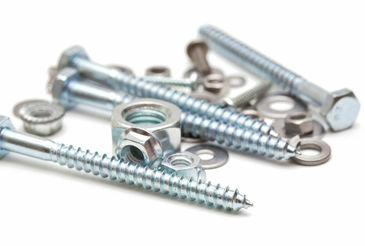 A digital system can also mean taking advantage of other digital solutions to maximise efficiency and increase profits. Giving your sales reps the ability to place orders immediately when out on-site could increase sales opportunities. Reps can be kept in-formed with stock levels and pricing structures to allow for better sales negotiations. Plus, you don’t have to worry about government changes to privacy procedures or making tax digital for example. Your business is always in the 21st century and never hindered by the inability to grow. When considering your business software solution remember that scalability is key to longevity and having a stable core for your company will give you the best foundations for success.